Oud meets violin, chorus meets santur, Persian rap meets electro beats… Young people from a wealth of backgrounds are taking over the Tischlerei during the winter holidays of 2019. And they’ll be bringing their music, instruments, songs and stories with them. The thing they all have in common is that they live in Berlin. In the Common Sound workshop they’ll be composing brand new pieces of music together – guided by well-known artists with Arab, Persian, Turkish and western European roots. They’ll be working on new compositions in small groups, enjoying cultural differences and familiar and unfamiliar ways of doing things and delighting in the new music that results. In the evenings there’ll be jamming, chilling, eating and playing in an assortment of gatherings. At the end they’ll come up with their own COMMON SOUND mini festival and present it onstage in the Tischlerei of the Deutsche Oper Berlin – assisted by outfitter Shahrzad Rahmani and director Johannes Müller. The youngsters and the workshop and project leaders will draw on their very different cultural backgrounds. The instruments and musical awareness may be Persian, western European or Arab in origin. “Common Sound” refers not to a common musical denominator but to musical diversity and sounds that are familiar to many and crop up in multiple contexts. Cultural compartmentalisation is a thing of the past in Berlin, but there are still certain customs, traditions and “commons” that are chiefly associated with their originating cultures, sub-cultures and social groups. Project participants and artists are encouraged to present their own variations of the musical form that they are familiar with, discover parallels, polarities and nodes of interaction and recount the underlying stories – in short to create new “Common Sounds”! This is the latest in a series of transcultural projects hosted by Young Opera which began in 2016 with NEULAND and continued with SOMETHING I’VE ALWAYS WANTED TO SAY in 2017 and THE CRY OF THE PEACOCK IN THE NIGHT in 2018. Register for the kick-off workshop on 12th, 13th January 2019 [registrations close on 10th January 2019]. The project is open to all. People with no musical knowledge or very limited knowledge are no less welcome than youngsters with experience. The working language will be predominantly German. Workshop leaders also speak Arabic, Farsi, English, Turkish, French or other languages. Participation, food and public transport to and from the venue are free of charge. COMMON SOUND is a project hosted by Young Opera in collaboration with Interkulturanstalten Westend e. V. and the Global Music School. 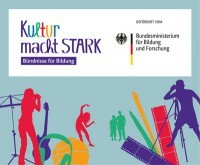 COMMON SOUND is co-funded by “Zur Bühne”, the funding programme of the Deutscher Bühnenverein as part of the “Kultur macht stark. 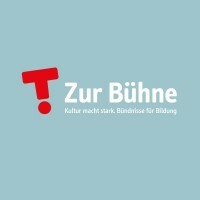 Bündnisse für Bildung” initiative. Young Opera is backed by the Karl Schlecht Foundation.